I took this picture along Summit Blvd. as I was riding back home the free bike tune-up Pedals2People put on today up at the West Central Community Center. We had a nice turnout of volunteers and fixed somewhere in the neighborhood of 40 bikes. It was good to hang out with the P2P crew again and get lots of kids bikes up and running. 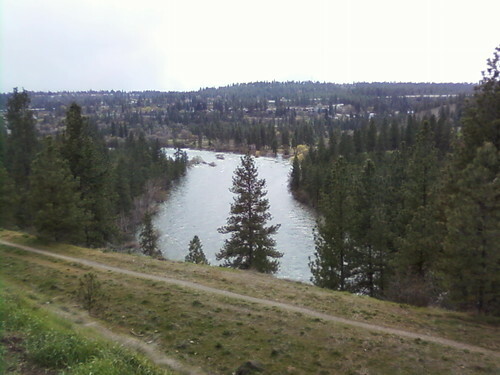 After I crossed the Spokane River I took my favorite shortcut trail along Latah/Hangman creek to get over to Inland Empire way. 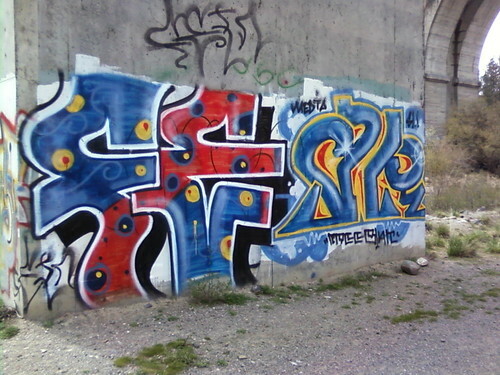 I noticed this relatively new (I don’t remember being their last Fall) urban artwork underneath I-90 earlier this week and decided to stop and take a picture this time around. Beating the evening rush on Hamilton.